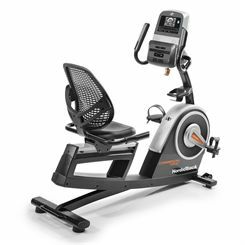 Made to motivate you to reach your goals and provide effective and enjoyable workout sessions, the ProForm 325 CSX recumbent exercise bike offers a 7kg (15.4lbs) inertia-enhanced flywheel for smooth and quiet operation. Thanks to 22 digital levels of SMR Silent™ Magnetic Resistance, you can vary the intensity of each session, whereas an impressive choice of 25 programmes helps to keep yourself challenged. 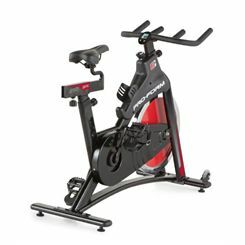 The bike is compatible with iFit® Coach technology to ensure unlimited online training options and has a clear round Watts LED display with Endurance, Tempo and Peak zones. 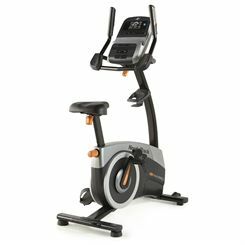 For a comfortable workout position, there is a sliding saddle with lumbar support and to attach a music source and entertain yourself while exercising, the machine features a music port for iPod/mp3 player and stereo speakers. Plus, thanks to an adjustable tablet holder, you can multi-task while working out. 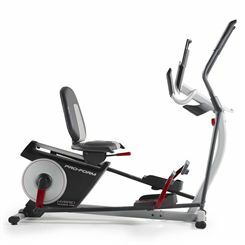 Target most of the muscles in your lower body and improve cardiovascular function with the NordicTrack GX 4.6 exercise bike ensuring smooth performance thanks to a 9kg (19.8lbs) Effective Inertia flywheel. Find the right intensity for each session choosing from 20 digital levels of SMR™ Silent Magnetic Resistance and make quick selections with responsive OneTouch™ controls. This sturdy, yet compact bike has a clear, 5" backlit LCD display enabling you to view your live stats and keep track of achievements. With 21 programmes including a manual one, as well as 10 calorie and 10 performance workouts, the GX 4.6 helps you stay challenged and focused on the goal. Compatible with iFit Coach BLE technology, it lets you discover a personalized fitness experience and gives you access to countless workouts designed by certified personal trainers, based on your daily calorie intake and calorie burn. For measuring heart rate, the bike offers hand pulse sensors and Bluetooth® smart wireless receiver for use with an optional chest belt that allows for staying in the right training zone. Speaking of entertainment options, there is an integrated tablet holder for multi-tasking, an audio port for your iPod or mp3 player and dual 2” speakers to energize your workouts. In addition, enhanced comfort and a perfect fit are provided by a bigger-than-average, ergonomically designed, adjustable seat and a handlebar with angle adjustment. 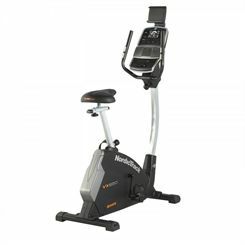 With an impressive range of 32 levels of computer controlled magnetic resistance and Electro Magnetic System, the DKN EB-2400i exercise bike is a perfect fitness companion and a high intensity interval trainer. Thanks to EMS brake system, the work-load can go to full resistance in less than 5 seconds and for fluid motion and added stability, there is a 14kg (30.8lbs) flywheel. 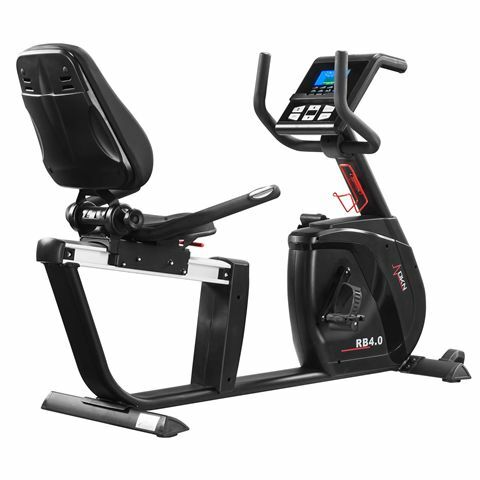 To provide challenge and variety, the bike offers 15 programmes and the console interacts with compatible apps via Bluetooth connection to help you maximize gains and enjoy endless interactive workout possibilities. 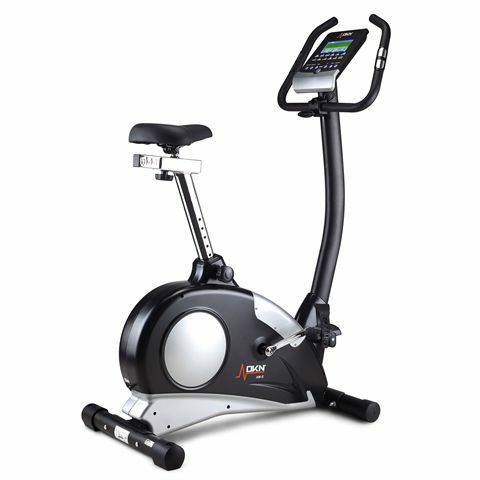 Fitted with a clear and user-friendly, multifunctional LCD display, the EB-2400i enables you to check your progress and all the most important workout stats. As comfort is a key to successful training session, there is a large, padded, micro-adjustable seat and a high-endurance handlebar allowing for multiple hand positions. To measure your pulse, use the dual hand pulse sensors or a Bluetooth™ wireless receiver with an optional chest strap and get a more accurate feedback thanks to 4 user profiles enabling you to enter and save your age, gender, weight and height. 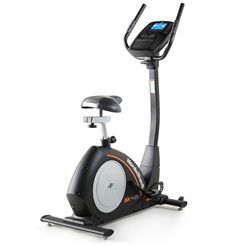 Plus, to make each workout more fun and engaging, the bike features an integrated tablet holder on the tilting console. 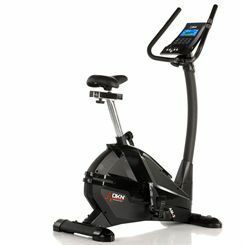 Get cycling in style and reduce the risk of injury with the DKN RB-4i recumbent exercise bike. 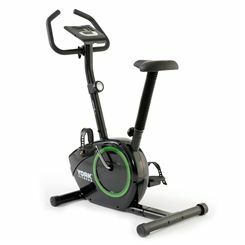 It boasts a heavy 11kg (24lbs) flywheel and a wide range of 32 digital resistance levels to take your workout to another level. The multifunctional colour LCD display is large and allows you to track your stats including speed, time, distance, watts, calories burned and heart rate. There are 12 pre-installed programmes to choose from and 4 user profiles for storing your personalised data. You can measure your heart rate easily thanks to the accurate pulse grip sensors in the hand rests or using an optional chest strap as the bike has a Bluetooth Smart wireless receiver built in. The seat is extra-padded and includes a comfortable back rest. Plus, the Bluetooth connectivity and the compatible Vescape and Kinomap apps let you design, programme and perform your workout and deliver many more premium options to explore. 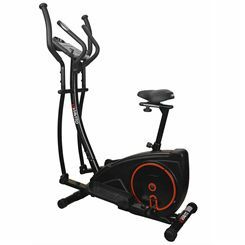 The exercise bike is a very popular piece of fitness equipment found in homes and gyms the world over. Why is it so popular? For starters, exercise bikes are easy to use, effective fitness tools, versatile and practical and they don’t have to break the bank. 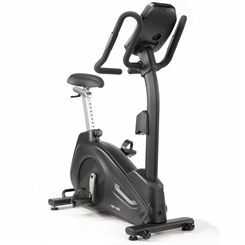 We’re going to look at them in some detail here, explaining some of the important things to consider before buying an exercise bike. Did you know, for example, that there are different types of exercise bike that suit different purposes? Keep reading to find out about this and much more! What can an exercise bike do for me? Cycling on an exercise bike is cardiovascular activity and as a result it will improve your overall fitness and help you stay healthier. Regular cycling will burn calories, help you lose weight, increase your stamina, build up your muscles and provide many other related health benefits. Plus, stationary cycling is impact free, so there’s no extra stress placed on your ankles, knees, back and other joints and body parts. This means it’s very friendly on your body and makes indoor cycling a highly popular exercise activity for people of all ages and fitness levels. What types of bikes are there and which is for me? Now we know that indoor cycling is beneficial it’s time to look at the bikes themselves. 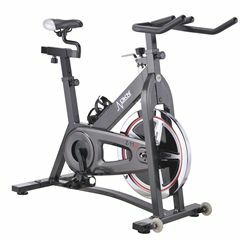 There are 3 types of exercise bike: upright, recumbent and Indoor cycles. Upright – these offer a sitting position replicating that experienced on a road bike, you can also lean forward although obviously you work your core more in the upright position. 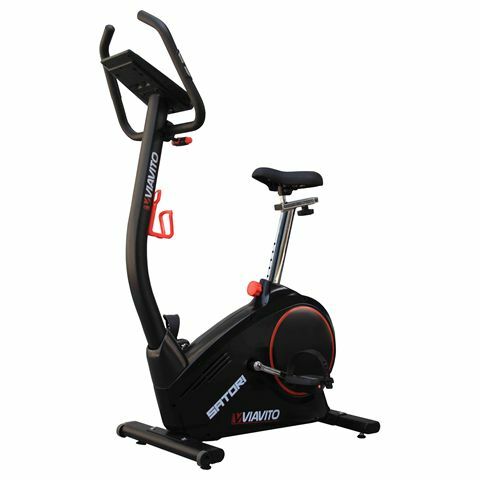 These are very popular, delivering solid workouts, not taking up too much floor space in the home and appealing to a very wide range of users. 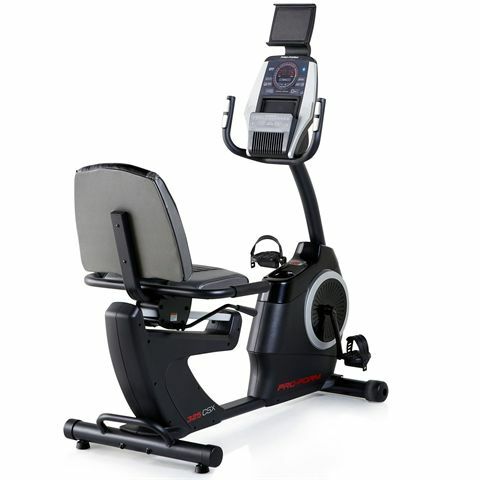 Recumbent – the seats on a recumbent bike are reclined with back support, which obviously rests the abdominals and lower back. But the revised seating position accesses a greater proportion of your back leg muscles (glutes and hamstrings) while you cycle. Recumbents are especially suitable for those more out of shape or who are recovering from an injury, offering lower intensity riding and increased comfort. Indoor cycles – upright bikes with a chain-driven pedalling system that is closer to a real riding experience. Resistance is set by turning a manual dial. An indoor bike is probably the best choice if you’re a cyclist in training or want to concentrate more on performance or do interval training. How do I choose the bike for me? The first and foremost step is to decide which of the above types of bike suits your needs best. Having an idea of your budget is also important – you could spend under £100 on a bike or over £5000! For under £100 you’re looking at simpler bikes with more basic build and features although there are compact folding bikes at this price point (see Storage below). From about £200 to £1500 you’ll find a choice of uprights, recumbents and indoor cycles to meet most home workout needs. Upwards of £2000 you’re looking at more commercial quality machines. Resistance is an important consideration because as you get fitter you’ll need to increase the resistance to challenge yourself and continue improving. 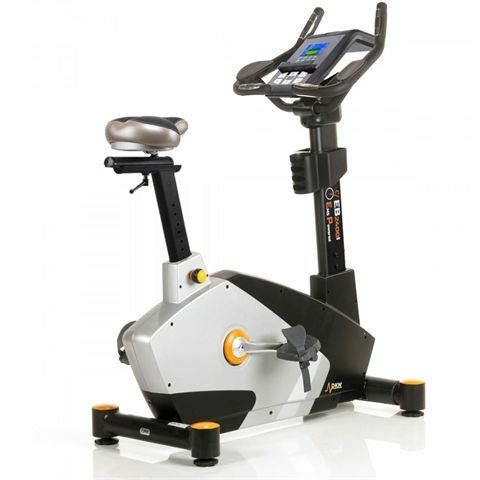 Most upright and recumbent bikes will have magnetic resistance with a number of levels which you control via buttons on the console or handlebars. Indoor cycles have manual resistance usually controlled via a hand knob. You can also find air bikes, where the resistance is related to how hard you pedal. A selection of workout programs will keep you interested and challenged. Pre-set workouts, where the computer takes you through a defined session, can be scaled up in intensity as you get fitter by increased the resistance level. The weight of the flywheel has an impact on the smoothness of the riding motion. 7kg and above is a good level for most bikes, though some have ones weighing well over double this! More basic or compact bikes tends to have quite light flywheels, meaning the bike is easier to carry and store. What ‘extras’ do bikes have? 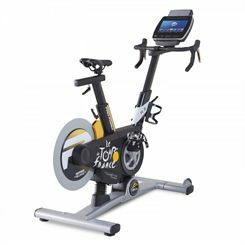 User profiles, heart rate measurement, tablet and smartphone connectivity, interactive functions like iFit and other workout apps via Bluetooth, speakers and audio inputs are all available on certain bikes. These are by no means essential but can enhance your sessions and encourage you to use your bike more. It’s worth remembering that some manufacturers will focus on the quality of the parts and build rather than extra features. What if I want to store it? Exercise bikes don’t generally weigh as much as other cardio equipment, but even so they won’t fit in most cupboards. That is unless you choose a folding bike. These are extremely practical where space is limited as they are light and fold, so you can store it away when not in use and quickly and easily place it in the desired location when you’re ready to ride. Now you’ve got more of an idea about exercise bikes, it’s time to start looking for your new fitness companion. 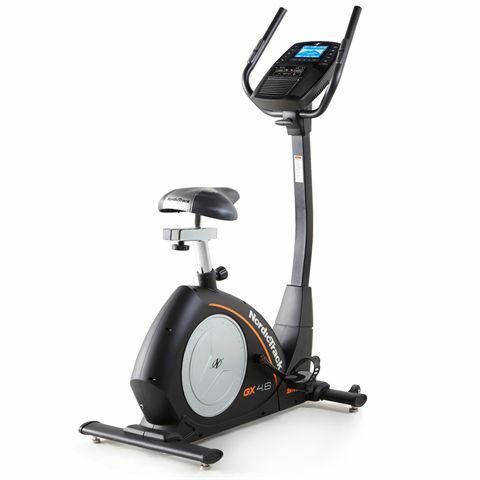 Head up this page to begin browsing our range of top quality home exercise bikes. There are filters to refine your search by price, bike type and brand.